Kay Little, the GIS administrator for Madison County, and a coworker examine a map of Madison County, Mississippi. “When I told my parents what I wanted do, they said, ‘Well, we could have told you that,’” says Little, who has worked for Madison County for more than 21 years. Starting in the tax assessor’s office before moving into data processing, she has served as the county’s geographic information systems (GIS) administrator for about 10 years. 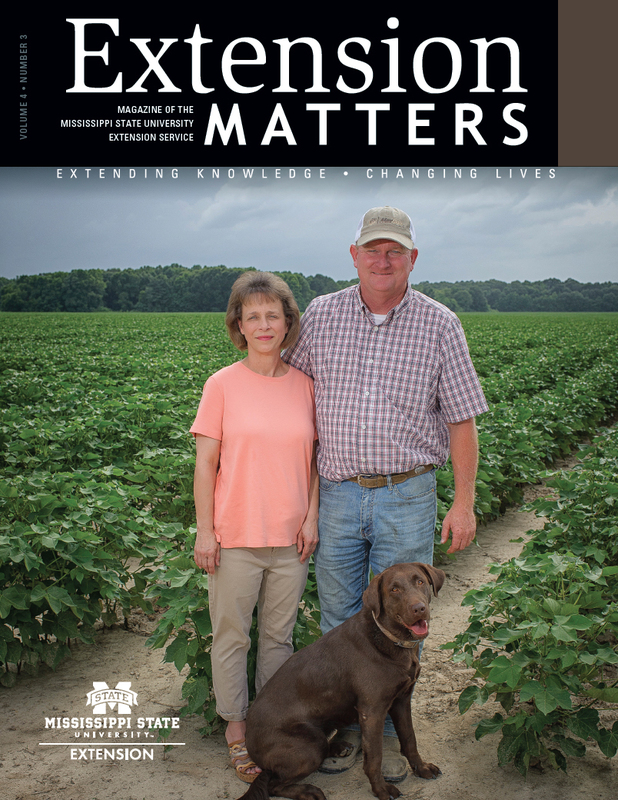 Kay Little, the GIS administrator for Madison County, relies on training from the Mississippi State University Extension Service to keep her up-to-date on the latest mapping technologies. She started her career in the early 1990s as a computer-aided design and drafting (CADD) and survey technician with Waggoner Engineering in Jackson. There, she worked with and supervised the survey crew, checked surveys for technical accuracy, and managed the mapping software. In the mid-1990s, she worked as a geodesist with Pittsburgh, Pennsylvania-based Ariel Data Reduction Associates Inc. Her current county work provides employees and citizens free access to several types of data—all through GIS mapping software that combines geographical information and data on physical features in an area, such as roads and property boundaries. People can look up information such as supervisor districts, zoning regulations, subdivision boundaries, and various political boundaries. Employees use the software system for everything from mapping garbage collection routes to search-and-rescue missions. “We can do all kinds of things with this software. We can use it to assist the E911 office with addresses, manage a property complaint, and put together information after a natural disaster like a tornado,” Little says. “Before this type of software existed, we only printed maps periodically. So, when there was some type of change, we had to wait to update a map. Now, we can do it instantly and have that information available to the public and our employees right away. While this sounds easy, the software does have a learning curve, and, to stay proficient in the technology, Little relies on the Mississippi State University Extension Service for training. The Geospatial Education and Outreach Project offers GIS training to local, state, and federal employees. The 2-day workshops teach a range of skills, from introductory concepts to database management, for groups of 8 to 10 participants. Workshops also offer time- and money-saving benefits, allowing participants to take classes in Mississippi from certified instructors for free or at reduced rates. Commercial outlets charge between $500 and $1,500 per person for this type of training. “The GEO Project remains the largest education and outreach effort in the U.S., because we have secured external funding since 2006 to offer the workshops at no cost to Mississippi government personnel and at a very low registration cost to non-government participants,” explains Dr. Scott Samson, Extension professor in the MSU Geosystems Research Institute and creator of the GEO Project. In the 12 years the courses have been offered, more than half of Mississippi counties have sent personnel for training. The Mississippi State University Extension Service trains elected officials in Mississippi how to use the latest mapping technologies. Using GEOGRAPHIC INFORMATION SYSTEMS, ELECTED OFFICIALS who trained in the GEO Project with Extension are mapping data that enhances AGRICULTURAL COMMUNITY DEVELOPMENT and EMERGENCY MANAGEMENT SERVICES.